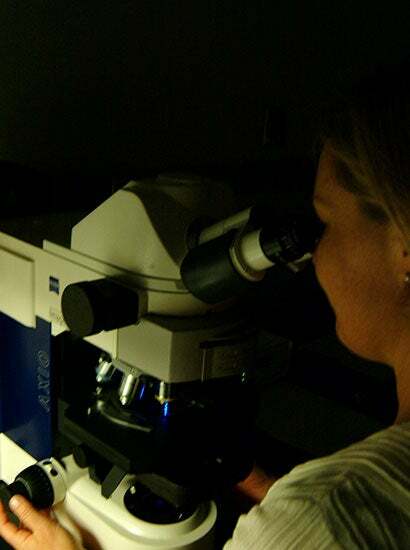 The epifluorescence microscope is an important tool when investigating the minute planktonic cells inhabiting the ocean. The water sample containing the cells is collected on a filter which is examined with the microscope. The pigments in the cells fluoresce when they are excited with blue or UV light, and this fluorescent light is used to visualize and identify the cells. Running an extraction of phytoplankton DNA. Preparing seawater medium for the phytoplankton cultures kept in the lab. 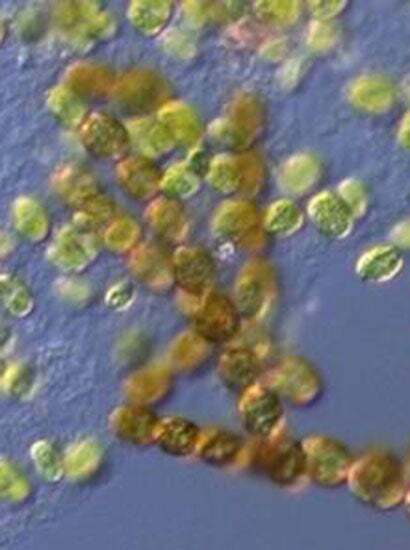 Microscopic image of a diatom and a chlorophyte isolated from Arctic sea ice from the Chukchi Sea. Weekly group meeting in the lab. 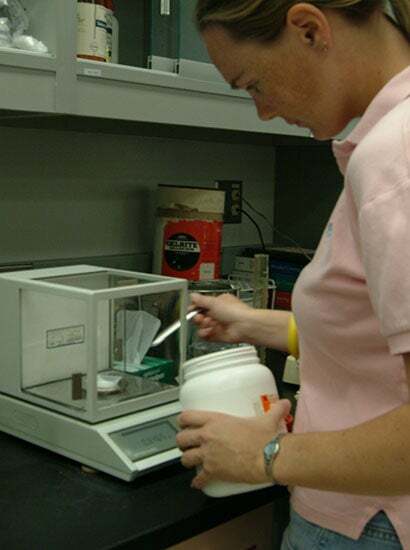 Weighing chemicals to prepare a batch of growth medium. Oceans cover three quarters of the earth’s surface. Biogeochemical processes in the ocean profoundly affect present day climate, as well as future climate change. For example, the ocean’s biota mediates the atmospheric increase of the greenhouse gas CO2 by photosynthesis and subsequent sequestration of the fixed carbon in the deep ocean. 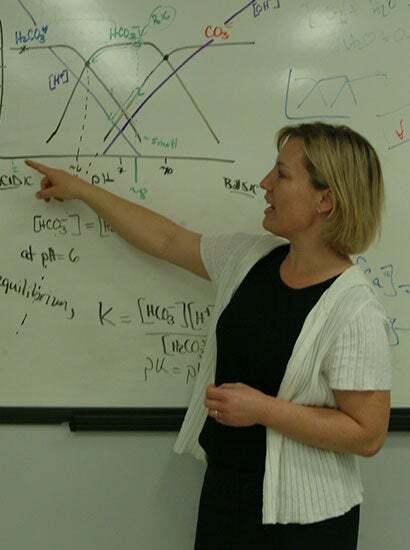 The Neuer lab investigates various questions pertaining to the role of phytoplankton in mediating carbon flux, plankton ecology and trophic dynamics, in both the marine and freshwater environments. To explore these questions we undertake field and laboratory activities as well as the analysis of remotely sensed data. In our open ocean work we combine classical microscope based identification of marine phytoplankton with molecular methods to characterize phytoplankton diversity at different open ocean locations, and to identify the contribution of different taxa to the sinking particulate flux. We are also involved in the ongoing investigation of harmful algal blooms in the AZ reservoirs, comparing data collected in our field campaigns with satellite data from multiple satellite sensors. Our plankton ecology projects range from the adaptation of sea ice organisms to cold temperatures and salinity, to the feeding ecology of marine protists. 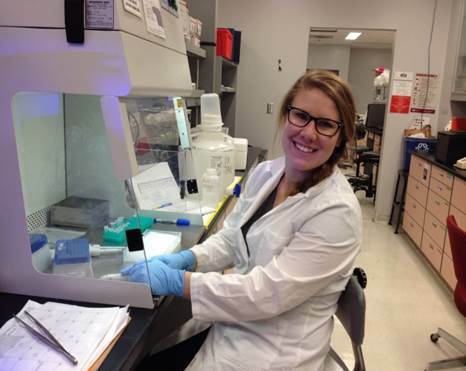 As part of a NASA Astrobiology program we have recently started a project studying the carbon flux of early photosynthetic prokaryotes in the proterozoic ocean by growing and monitoring the aggregation of a model cyanobacterium. All these projects are conducted by graduate and undergraduate students in conjunction with research staff. 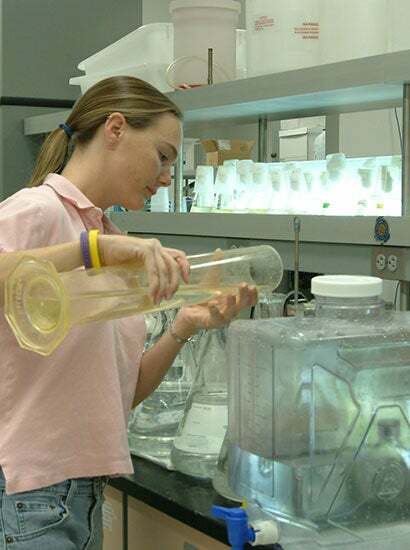 To learn more about plankton, check out this collection of articles and activities entitled the ” Invisible Watery World” featured on ASU’s Ask-A-Biologist and written by our own Amy Hansen, including a plankton video .